Before you pay for something, see if there’s someone who can volunteer that skill. 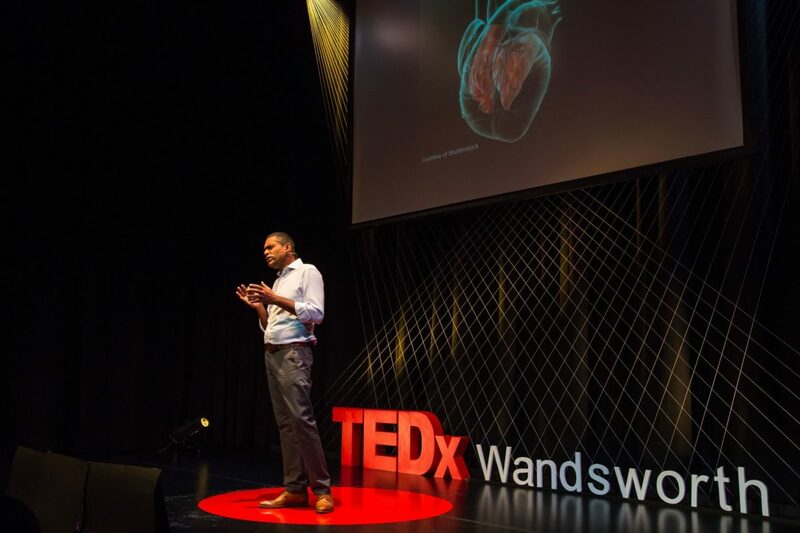 Amman Abid and his wife, Kay Chauhan, are the founders and organizers of TEDxWandsworth in the boroughs of London. They’ve learned first-hand how building deep community connections have contributed to their event’s success. I had the distinct feeling when talking with Amman that he doesn’t approach any project with less than 110% effort. When he and Kay decided to do a TEDx (while having dinner on a rooftop in Barcelona), they spent many hours researching, watching other TEDx events, reading material on the Hub and reaching out to other organizers on the Facebook Group. You’ll learn a lot about the success of his approach to audience engagement and Two Rules for the attendees when they enter the theater. I’m going to adopt these as they make so much sense. Tell us a bit about your background and your TEDx origin story. He’d been watching TED Talks for several years and while on a brief vacation in Barcelona, he and Kay talked about how they might give back to their Community. They’d read an article about TEDx and decided, “Let’s do this!” He’s a writer and involved in strategic communications, and she’s involved in marketing. Together they make a powerful team. They’ve done two, in 2015 and 2016. The first one was with only seven months lead time and no money. For 2017 they’re attended TEDfest which qualifies them for a larger event. They’re looking to expand to 300. They showcase only local performers but do reach outside the area for some of their speakers. They also focus heavily on attendee engagement and spend time engineering the social interactions during the breaks. Organizing. Producing. Curating. Amman loves speaker coaching. How powerful deeply personal marketing was at driving awareness and building a local TEDx community that hadn’t existed until they started. The Money. We’ve we heard this. (Note: We ought to do a special episode on this) And Team Dynamics. He’s adamant abut the responsibility of the Organizer to be the keeper of the Vision and making sure that the theme drives everything. “The event will stretch you in ways you can’t imagine.” When looking for venues, don’t go to the obvious spot. See if you can convert a social space into something interesting. (Note: They ended up partnering with a local college and used a theater space that turned out to be perfect for their 100 person event.) Finally, look at how NGO’s organize volunteers and model your approach after them. How much more confidence he has now that they’ve two events behind them. They’re not an unknown. Certainly, it will make it easier to approach speakers and sponsors. Before you decide to pay for something, see if you can find someone with that skill. Spend time in the community understanding what people could offer – turns out everyone is very willing to help.